I feel like things are settling down here from summer and I'm going back to a bit of a routine. That is a nice feeling. 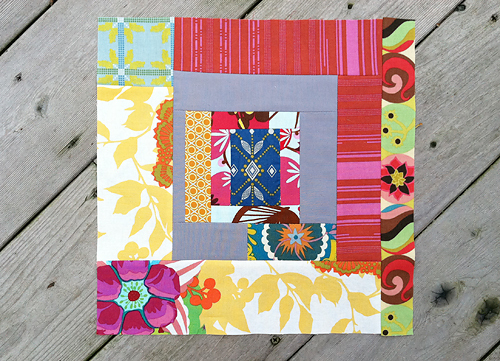 Yesterday I made my Twice Around the Block September bee block for Jen. 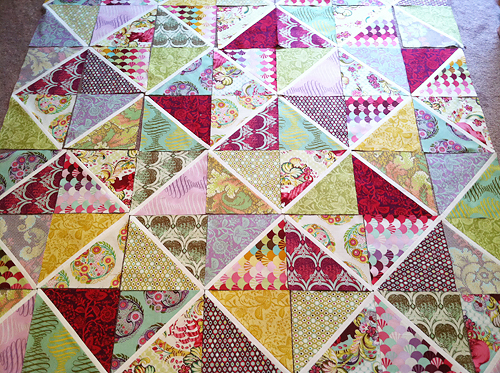 She asked for Drunk Love blocks (ala Denyse Schmidt) and sent a collection of Anna Maria Horner fabrics. So fun! I really can't believe I've had this one sitting around for months. Yesterday I finished all the blocks for the top and hopefully today or tomorrow I will have a chance to start sewing them together.